Press Release: The Illinois Department of Employment Security (IDES) announced today that it is expanding efforts to help individuals who file a claim for Unemployment Insurance (UI) move from unemployment to employment. 1. 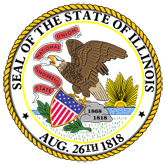 Illinois Department of Employment Security Highlights Enhanced Efforts to Help Jobseekers (16-0477-IDES_Highlights_Enhanced_Efforts_to_Help_Jobseekers.pdf).